A perfect way to express your love for your favorite manga! 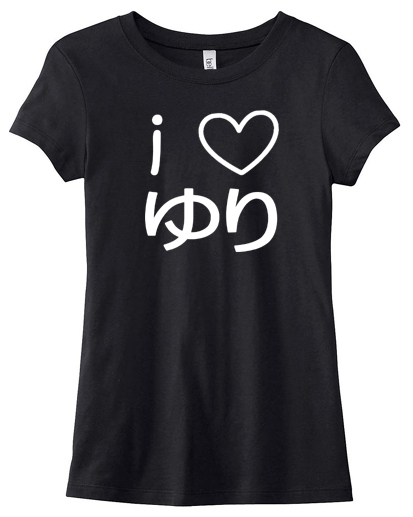 This shirt features YURI written in Japanese hiragana. Be sure to check the size chart, as our fitted shirts run small!